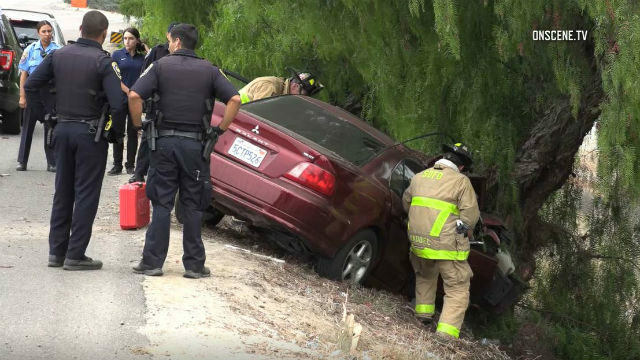 Two people were seriously injured when their car careened into a tree on the side of Interstate 5 in Chula Vista on Sunday morning. Dispatchers received word of a car that struck a tree on the right hand side of the northbound freeway near J Street at about 9:40 a.m., according to a California Highway Patrol incident log. It took about 15 minutes to extricate the two people, Roberts said. Both had severe medical trauma and were taken to local hospitals. All lanes were reopened by 10:30 a.m., according to the CHP.